We believe in bird watching for all sexes in Uganda and have come to realise that the activity is a great inspiration to those who have decided to be part of it. Our aim is to train, equip, connect, support and promote girl bird guides. Today, we are happy to have 2 girl bird guides on our team of six professional local bird guides in Uganda. 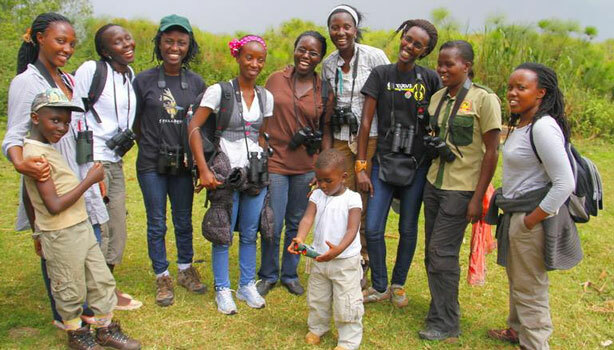 And working together with the Uganda Bird Guides Club, we have seen the birth of the Uganda Women Birders Club. The club although with lots of challenges is seeing some progress. 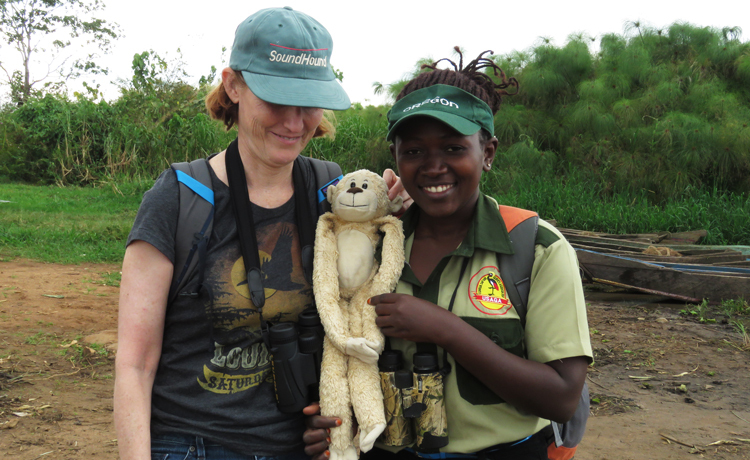 Anne and Veronica after a successful look out for Shoebills in the Mabamba Marsh. Anne with her guide Veronica – We have answers to female birding guide requests. A group of Uganda Women Birders pose for a photo after one of the weekly bird walks.